If not for the frustrating few seconds of Sunday’s Duke-Central Florida game, when two winning shots spun off the iron and knocked the Knights out of the NCAA Tournament, the conversation we’d be having today would be about how the Blue Devils fell short of everyone’s expectations. Instead, they survived and they advanced to the Sweet 16 next weekend. Had they not, they would have stuck out like a sore foam finger because every other No. 1, No. 2 and No. 3 seed in the dance is still in play for the title. Yes, it would have been a tall Tacko Fall tale. It’s only the second time the top 12 seeds are in the Sweet 16 since the NCAA Tournament expanded to 64 teams in 1985. And it’s just the second time they’ve been joined by a pair of four seeds. Only Oregon (No. 12) and Auburn (No. 5) crashed the party. Last year, half of the top 12 seeds were gone before the Sweet 16. So in a tournament that’s made itself famous for spawning Cinderella stories, this one has been anything but a Disney thrill ride for the lower seeds. Hey, it’s a small world after all. Which brings us to Villanova, the defending national champion, the program that had won two of the last three titles. For the last five seasons, the Wildcats came into the tournament as either a 1 or 2 seed. 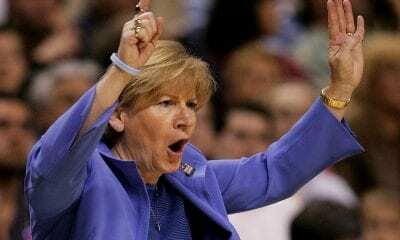 They began this one a generous sixth seed after a very uneven 26-10 season, but one in which they won both the Big East regular-season and tournament championships despite losing three first-round picks from last year’s team. And now, not only are the Wildcats kaput, they were unceremoniously booted from the bracket on Saturday night in Hartford by Purdue. The Boilermakers won by 26 and Rick Mount took his final jump shot for them in 1970. 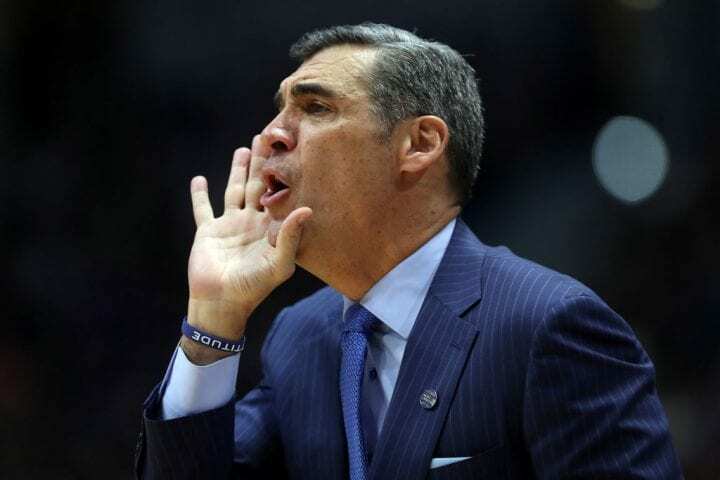 It was the largest NCAA Tournament loss in Villanova’s history and it capped off a season in which only Jay Wright’s close friends and family figured it would have a chance to repeat. Wright, Villanova’s dapper coach, called it an ugly game. But beauty is in the eyes of the beholder and Indiana folk sure thought Carsen Edwards’ 42 points, fed by a school-record nine three-pointers, was pretty darn beautiful. Not since Gerry McNamara of Syracuse scored 43 in a 2004 tournament game had any player gone off in such a big way. “Honestly, I wouldn’t even say I knew I was having a career night until the game was over,” Edwards said. “We just, as a staff, did not get our guys. 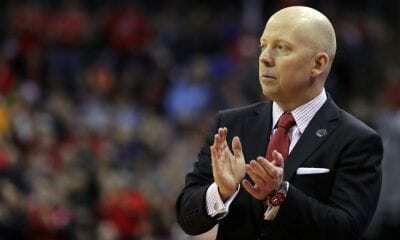 … we tried to make them understand their ability to hit 3s and execute their offense,” Wright said. “We just did not have them ready from the start. “As soon as the game started, I knew. The thing about these young guys all year is getting them the sense of urgency. They were a part of it last year and they expect to win, but they haven’t been around long enough to know what it takes. So, we’d have some success and they’d feel, ‘OK, we got it.’ But you don’t. You’ve got to keep taking it to another level, especially in this tournament. The Boilermakers led 43-24 at the half. The outcome was never in doubt, Villanova’s voice as quiet as the sound of 27 three-point shots missing their mark. Eric Paschall, who has a future in the NBA, was inconsolable after the game. What made this loss more sobering is there seems to be a perception the Wildcats are entering a bit of a down period. 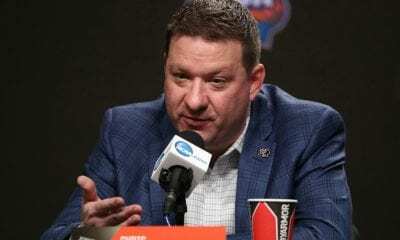 They will not have a senior on its roster heading into the 2019-20 season, unless a fifth-year grad student comes to the program. In all reality, this was a rebuilding season, too. Donte DiVincenzo was just the first of four Villanova players taken with the first 33 picks. Unless you are Duke, North Carolina or Kentucky, and love the one-and-done life, that is not something usually survivable. Sweet 16: In The South And West, Will Gonzaga And Virginia Hold Serve?